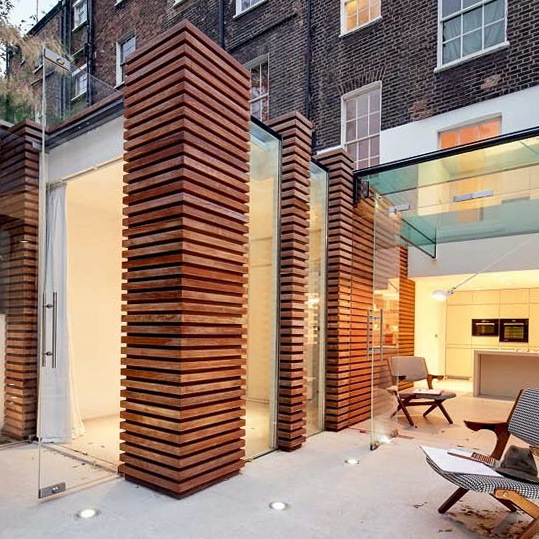 Conservatories are traditionally built with a wood frame, but using iroko in this striking design by DOS Architects brings the look bang up to date. 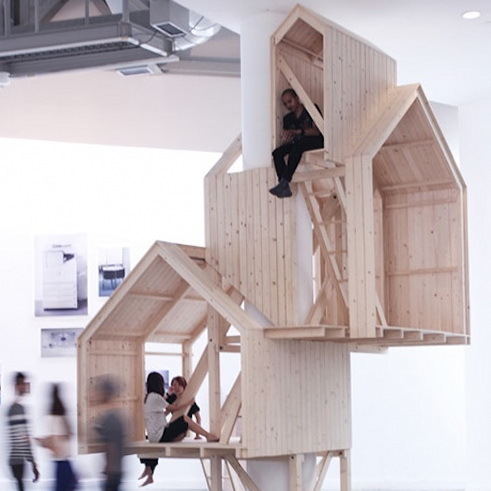 Meanwhile, a fully glazed wall and ceiling section unites the interior with the garden. 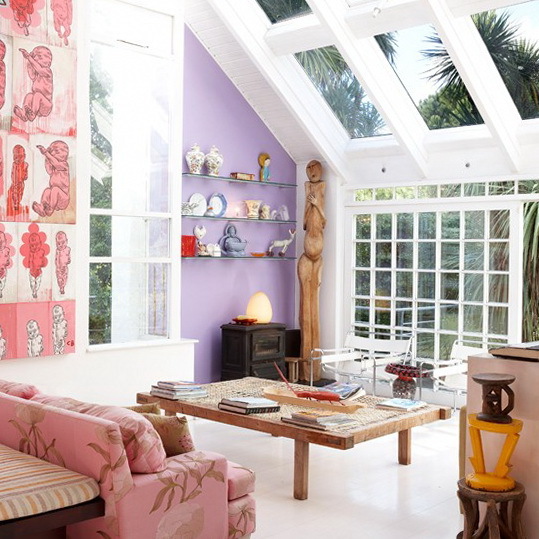 Complement great light from conservatory windows with floaty white curtains and stripped wooden floorboards. Finish with statement accessories such as this chic chair. 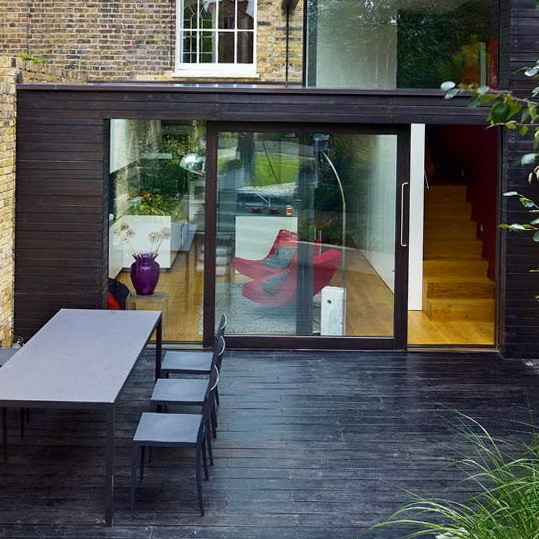 This conservatory is part of a two-storey extension designed by David Mikhail Architects, with the garden lowered especially to provide access. The conservatory now houses an open-plan kitchen and living area. 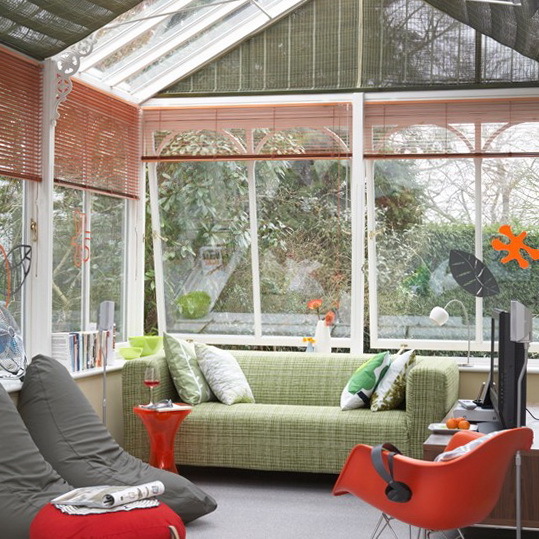 Using accessories and low level seating creates an eclectic, quirky feel in a lounge conservatory. 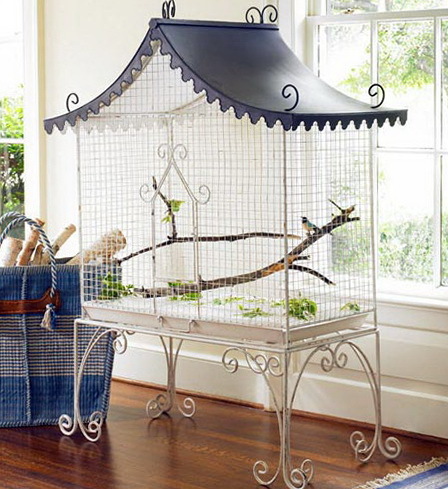 The lilac feature wall and full-length wall hanging balance out the white lattice window, without looking overcrowded. This striking design by IQ Glass and BB Partnership is effectively a glass box, which gives the sensation of sitting out in the garden without experiencing the elements. Parquet flooring adds warmth to the cutting-edge scheme. 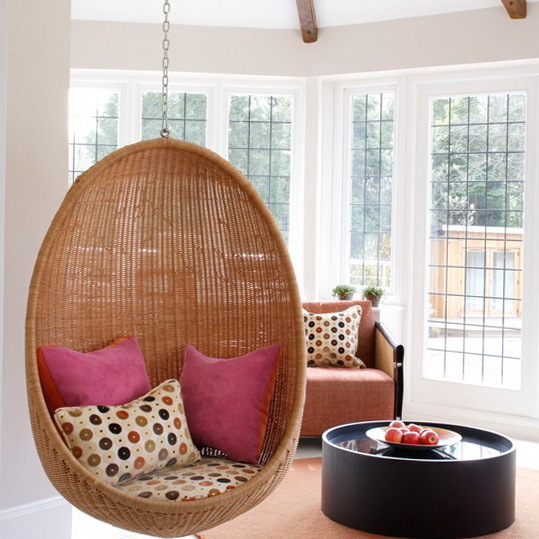 Conservatories often provide the opportunity to have some fun with furnishings, such as with this swing seat. 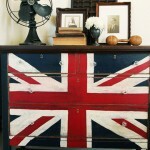 Create a modern retro look by choosing a few key statement pieces and keeping the rest of the room sleek and simple. A small space doesn’t have to be boring – use natural textures and bright colours to add interest to a compact conservatory. Fabric and Venetian blinds give privacy without compromising on light. 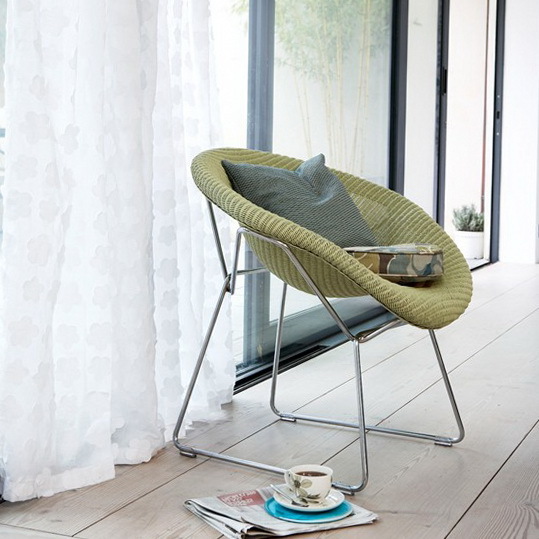 Contrast rich, dark wooden floors with white walls and a few carefully chosen statement pieces, such as this cactus and perspex chair, for a rich minimalist look that’s perfect for lounging in. 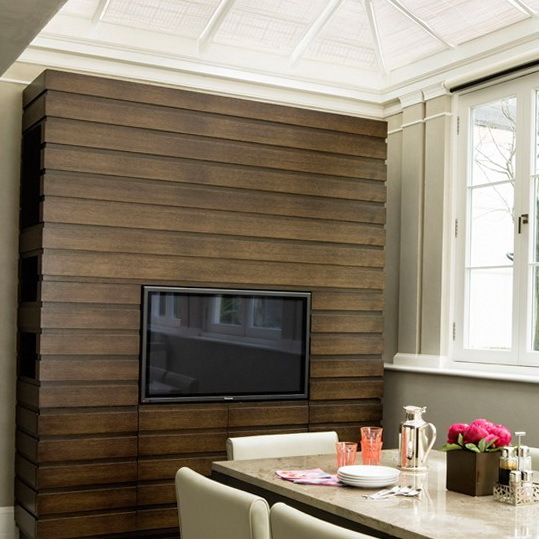 Full-length panelled feature walls add hotel chic to a diner and TV room. 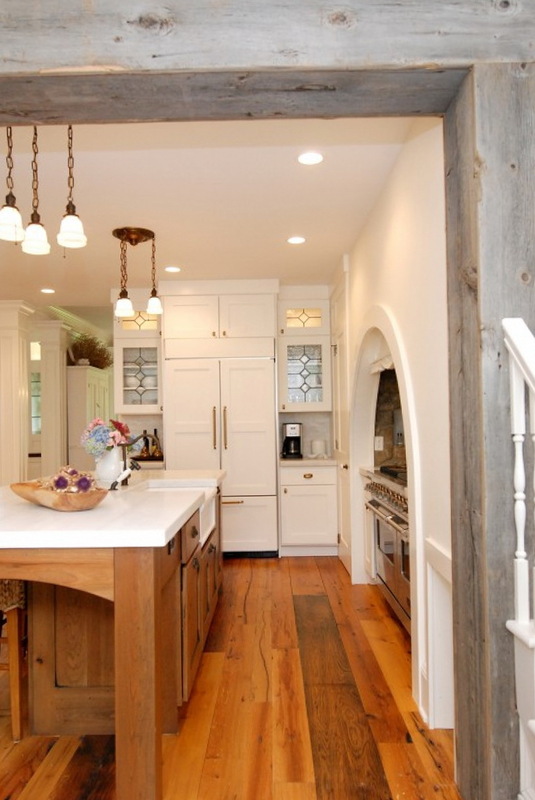 Use dark wood details for a luxury feel. 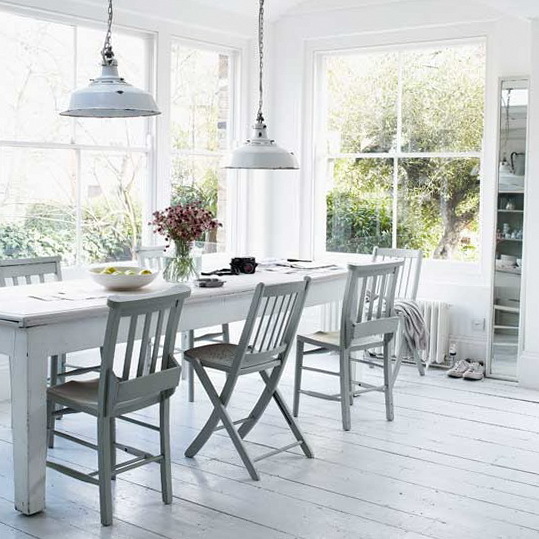 This conservatory extension has a wonderfully bright feel thanks to its fresh decor in shades of white and grey. 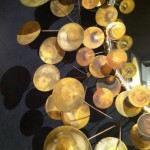 Metal pendant lights hung above the table create an intimate feel for dining.